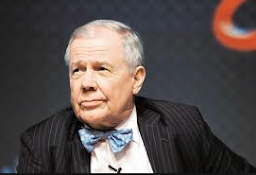 Jim Rogers Talks Markets: Bitcoin: Is This A Bubble? Jim Rogers recently answered the million dollar question, are crypto currencies in a bubble? "There have been plenty of bubbles I have seen in my life but this one is a little strange, because at least when the dot-com bubble was around, those were companies that said they had a business. Even with the tulips (reached extraordinarily high levels and then dramatically collapsed in February 1637), supposedly they had a purpose and a use, I have never seen something quite like this."